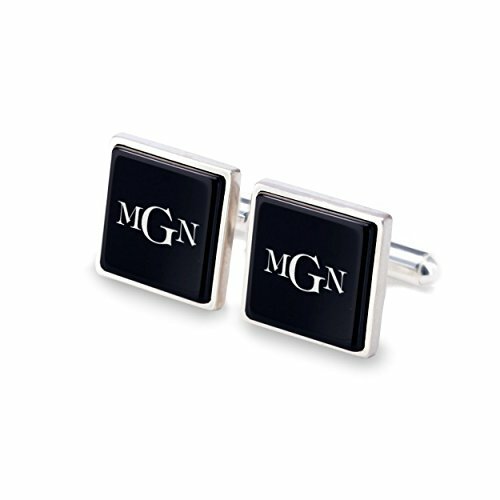 The elegant black cufflinks made from the finest materials such as 925 Sterling Silver and natural Onyx. The quality is the result of 30 years of experience of Gdansk jewelers and the latest manufacturing technology and design. Select type of font or send me a message with the graphics if you want to engrave your graphics/sing ( LOGO ) in files: jpg, png, eps, pdf, cdr, ai. If notes to seller area is blank, we will process your order without any personalization. Estimated delivery time in business days. If you have any questions about this product by ZaNa Design, contact us by completing and submitting the form below. If you are looking for a specif part number, please include it with your message.